You may have noticed that over the past few months, I haven’t been active on my blog. I’ve been through some big changes in life this year and I just feel like this chapter has naturally come to an end (for now anyway). I will therefore not be posting on Munching with Monet anymore. The 3 years that I spent blogging were great fun. I am grateful for the opportunities I have been given and was lucky enough to meet so many lovely people. 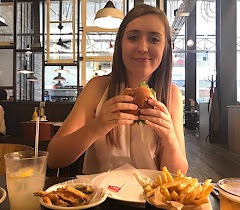 For the time being, I will keep the blog live as it is still getting plenty of daily views & hopefully comes in handy for some hungry restaurant goers. I’m still a huge foodie though so anything I do document will be posted via my Instagram (@MonetBrooks).